Fukui Koshihikari is on sale now! Sticky and taste good cold too. This is the "Koshihikari" from Fukui Prefecture. 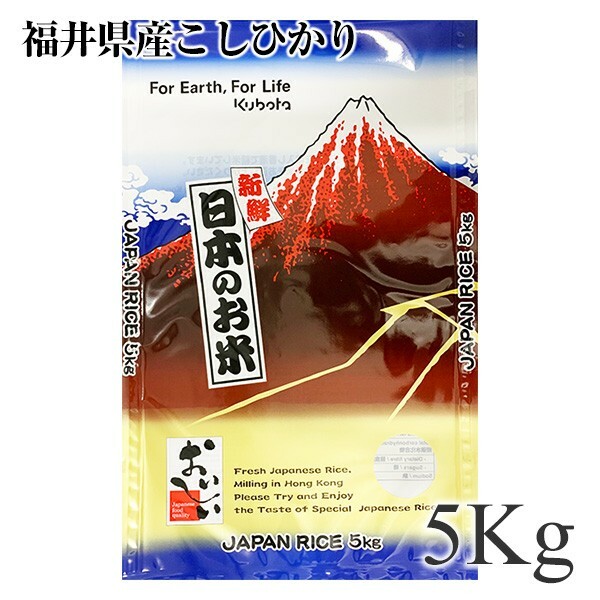 The Hokuriku region(Niigata, Toyama, Fukui, Ishikawa) is a well-known Kome-dokoro (very famous area for rice production), Fukui is the very birthplace of worldwide-famous “Koshihikari”, making especially good-quality rice. However, It’s distribution mostly flows in the Kansai market, might not be much seen in the Kanto region. In Niigata West Hokuriku, only fukui has got 4 consecutive year the top rated special rank A, can be purchased relatively economical price despite koshihikari’s great taste and quality.